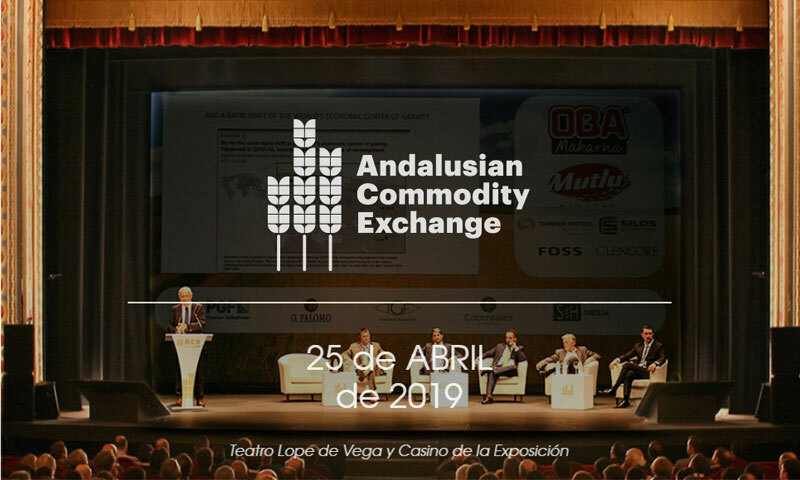 Silos Córdoba will participate as an Executive Sponsor in the Andalusian Commodity Exchange that will be held on April 25th at Lope de Vega Theater in Seville. It is an annual meeting the Andalusian Raw Materials Board has been organizing for eleven years. The Andalusian Commodity Exchange is a meeting point between merchants, producers, multinationals and brokers dedicated to the trade and consumption of agricultural products and feed stuff like cereals, protein meals and vegetable oils. This year, the program has several lectures that will help clarify the situation of the main markets of Agricultural Raw Materials in the coming months: “Global Barley Market, Oportunities and Challenges”, by the hand of Juan Pablo Rossi from Cargill ; “World Durum Wheat Outlook”, with Stéphane Saint Jean and Nicolas Prevost from Durum SAS; “Global Vegetable Oils Market Situation”, presented by Peter Fakla from Bunge; “International Vegetable Proteins Market Situation”, by Antonio Ramallal, from COFCO Spain. It is undoubtedly an essential meeting to stay tuned to industry trends, that will count with the participation of more than 500 professionals from more than 23 countries.